From a quick trim to a whole new look, our experienced stylists can cut any type of hair to suit both your face shape and your lifestyle often taking years off your overall appearance, helping you look and feel your best. They will also give you tips and advice on how to easily recreate your style at home and which products to use to keep your hair looking its best. We offer highlights, tints, semi-permanent tints, Bayalage, Ombre and Dip-Dye colour techniques so whether you want to cover a bit (or a lot) of grey, get a colour correction or are looking for a striking new colour our KEUNE (link) hair colour specialists will advise you of the best colour and technique to suit your personality and lifestyle. With a shampoo and set we start by shampooing and conditioning your hair, then gently towel dry it and set it using a choice of different sizes and types of rollers to produce varying holds, volume and curls. So sit back with a cup of tea and a magazine and let us work our magic. 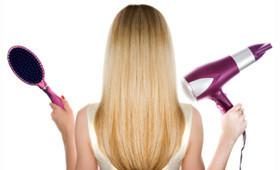 Blow-Drying sounds simple but how your hair is dried is just important as the cut and style. After shampooing, conditioning and carefully towel drying your hair, depending on your hair type and chosen style our professional stylists will select the right styling product and then either blow-dry your hair using a hand held dryer, set your hair into shape under a hood dryer or finish your hair using heat styling equipment. This revolutionary smoothing system infuses Keratin deep into the hair cuticle, eliminating up to ninety-five percent of frizz and curl and leaving the hair smooth, shiny and luxurious. 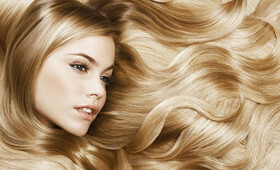 Results typically last from three to five months depending on your hair type. The results really are amazing. Hair loss for whatever reason can be a very worrying and traumatic time. Let us help re build your confidence and make you great again. We offer a free wig personalisation for customers undergoing chemotherapy or experiencing hair loss due to a medical condition. If you have a wig or need advice on what to buy then call the salon for a confidential appointment with one of our experienced and understanding stylists. Fed up with the same old look, fancy something totally different? Why not leave it to the experts and let our stylists help you pick a new look that suits your face shape, personality and lifestyle perfectly, or, bring us an idea and we’ll bring it to life. The right re-style whether it’s a new cut, colour, style (or all three) could dramatically change the way you look and feel. 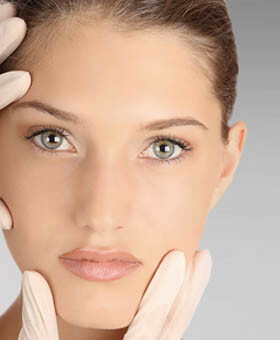 Go on, be brave, you know you want to, call us now and change the way you look today. Balayage is taken from the French word meaning to sweep or to paint. It is a freehand technique in which swatches of hair are sectioned and hand painted against a backing board with a lightening agent. After each section is painted, it’s then covered in cellophane. 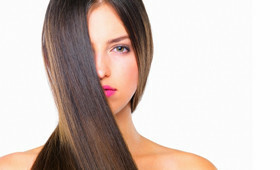 This technique allows for a sun-kissed natural looking hair colour with softer, less noticeable regrowth lines. Balayage offers a much more casual, beachy finish. Whereas Ombre and Bayalage (affecting about two thirds of your hair) go from dark to light and are more subtle, Dip Dye makes your hair look like it’s literally been dipped in paint. 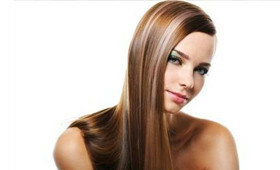 It is sharper and much more noticeable and is applied to the bottom third of your hair at the tips. It can be pretty much any colour you like but the most popular are bold colours like pink, purple and red. Fancy curly hair for a change? Why not try a Perm. 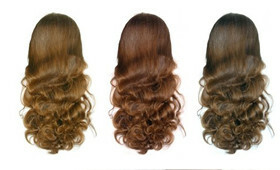 A Perm is a hair treatment that is used to add curl and body to your hair. Perm, short for permanent wave involves the use of chemicals to break and then ‘reform’ the hair into curls. It is created by winding freshly washed and conditioned hair around rods or rollers to create a permanent wave in your hair. Need a different look for a special occasion but don’t want to change your hair permanently, then why not let our experienced stylists show you a whole range of different ways to wear your hair up? You may have seen something in a magazine that you’d like us to re-create or you may need some ideas and inspiration. Whatever the occasion give us a call and let us show you what we can do. We offer a whole range of amazing Keune hair treatments enriched with certified organic ingredients, ammonia and paraben free and not tested on animals. Choose from Sun Potection, Colour Protection, Thicker Hair, Dandruff Free, Calming Shampoo, Vital Nutrition Shampoo, Volume, Smooth and Manageable, Nourished and Moisturised. Your ‘Hair-y Godmothers’ are waiting for you, our aim to make you and your wedding party look and feel beautiful on your big day. So whether you’re the bride, the groom (yes you too) the bridesmaids or the whole wedding party we can tailor a wedding hair package to suit your needs. Whether you decide on an elegant up-do to a messy but beautiful Boho down-do, to head pieces, extensions or accessories our experienced team are here to offer ideas and inspiration in a friendly and relaxed atmosphere accompanied by a selection of drinks and personal one to one service. We also cater for any special occasion such as a Birthday, anniversary, job interview or office event. Just tell us what you need, we’re here to help.